Our Cosmetology program trains students professionally in several aspects of the beauty industry. With practical learning, each day is filled with exciting education that can prepare you for the career you’ve always dreamed of. You’ll gradually learn how to work on mannequin heads and then eventually with real live clients on our salon floor. You can learn the art of retailing and building clientele, along with classes dedicated to teaching you how to own or run a business. 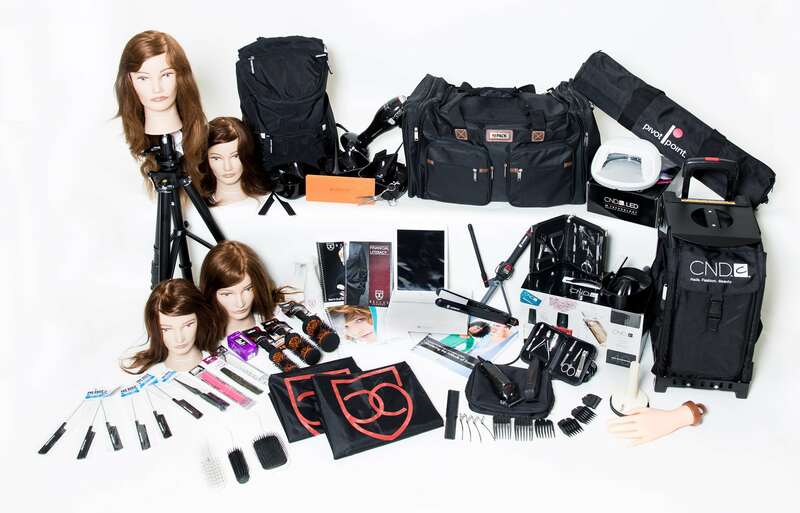 We offer four Cosmetology programs to give you advanced training options. Whether it’s advanced coloring techniques or make-up artistry, you’ll be able to customize your education to meet your goals. Please note that each location offers a unique catalog of programs and required hours will vary. Bellus Academy’s Cosmetology program includes professional training in many aspects of the beauty industry. Our award-winning education takes basic programs and elevates them to include advanced training. With an emphasis on hair cutting and color, you can develop your portfolio and resume while practicing your craft on our busy clinic floor. While some schools teach only to the state board, our program includes entrepreneurial-focused training including business management, retailing, budgeting, marketing and sales techniques. The program also includes an iPad, where much of the curriculum is taught in conjunction with a social learning experience. Our salon floor gives students the experience needed to develop their craft and work with clients. Our curriculum includes technical training along with state board prep. Once you graduate, our Career Services Team will assist you with your job search. Financial Aid is available to those who qualify. As one of our most popular programs at Bellus Academy, Cosmetology 102 includes our basic Cosmetology course along with 150 hours of Make-up Artistry. We are one of the only schools to offer the internationally acclaimed Make-up Designory (MUD) Make-Up Artistry course which prepares you for everything from bridal makeup to theater to runway. This program also concludes with a professional photo shoot for your personal portfolio.